Everyone is on holiday, or at least is still in the holiday mood. And you know what means? A relaxed calm mind, indulging in whatever makes you happy, for us that’s food, pampering and how can we forget SHOPPING!!! This month, we wanted to share some of the cool things we’ve found and would love for you to try! This has been one of my newest finds and I absolutely love this!!! I’ve been using my Maybelline pencil for the longest time and wanted to try something new. I came across this eye-pencil at Sephora. I’ve never used the Marc Jacobs beauty line before, other than for shoes. It’s really soft and easy to glide on. It doesn’t make my eye water and it stays on for quite long. I first bought the black, which is dark and pigmented and olive as it looks great with my brown eyes (it also stands out with hazel and green eyes). I now have the sapphire blue and silver, which I’m yet to use but they looked lovely! Girls, I really think you should give this a try, perfect for your smoky eyes! This is a pretty cool cleanser. It starts out as a gel that clings on to impurities and make-up, it then melts into a cleansing oil with the skin’s body heat. Only once you splash your face with water it turns into a gentle cleansing milk. Please remember you need to use this on dry skin, I made the mistake once of using it in the shower and it turned into the cleansing milk. This is really great for travel as it serves as a multi-purpose product. This product is suitable for all skin types and leaves your skin deeply cleansed, soft and soothed! This is like a refreshing cool drink but for your face! Whether its long work days at work or late nights. 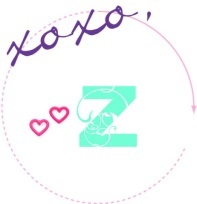 This primer is your cure, it hydrates, smoothens and brightens your skin for a healthy finish. It is also really light and comes in a tube with a pump which is again great to carry on for travel. We hope you enjoyed our new finds and tell us your favourites this summer! Divaly’s makeup recommendations for the festive season have been really popular among our readers and friends and so in continuation to perfecting that look this festive season we are really excited to have our second guest-blogger for Divaly – Zarine Mistry. Zarine Mistry is a senior from high-school in Dubai and is currently based in Canada. She is a makeup fan and enthusiast just like me and being a fellow beauty blogger in the past she wanted to share her own recommendations for a holiday beauty look to suit every budget. A big shout out to Zarine and we really appreciate all the effort and research she did, coz boy getting that perfect look ain’t easy ;-). The ‘holiday on a beauty budget’ will be in two posts because she really went all out to help us create that perfect look, we hope you enjoy!! Tis the season to look FAB-u-lous! But between decorating the tree, channeling your inner Martha with your holiday baking and finding the perfect presents for everyone on your list, you might find your makeup routine is lacking some Christmas cheer. Fear not, here is a routine to help you look your holiday best! The kicker—these products will work with every budget! Whether you opt for the effective, yet gentle St. Ives Apricot Scrub ($3.59, Ulta) or the more luxurious Clarisonic Mia 2 Sonic Face Brush ($180.00, Sephora), with an oil cleanser like the boscia Tsubaki Cleansing Oil Gel ($35.00, Sephora), you can be sure these bad boys will slough off that winter dullness, revealing your brightest skin. You will notice your face will feel smoother and your moisturizers will absorb quicker. A little goes a long way when using the multi-purpose Josie Maran 100% Pure Argan Oil ($20.00, Sephora). Opt for the light version if you have oilier skin. For a complete skin transformation you could try the Ole Henricksen Sheer Transformation creme ($45.00, Sephora); the formula melts into your skin as it fades dark spots and nourishes. Stay bright eyed with Clarins Super Restorative Eye Concentrate ($92.00, Sephora). It’s pigments brighten, while the caffeine de-puffs and the shea butter nourishes the delicate under eye skin. For a quick and cheap fix, place warm (not hot!) chamomile tea bags over your eyes for about 10 minutes and rinse thoroughly with water. You could get away with not priming your skin in the melty summer months, but in the winter, it’s imperative you don’t skip this step. With hundreds of different formulas to choose from, you are sure to find one that’s right for your skin type. Budget friendly options include Revlon Photoready Color Perfecting Primer ($14.00, Walmart.ca), which colour corrects uneven colour and redness while smoothing out the skin. L’oreal Magic Perfecting Base ($12.00, Ulta), gives you a silky matte finish that lasts all day. Pricier options include, Stila One Step Correct ($42.00 Murale.com). This all-in-one super-serum colour corrects, brightens and primes, in one, simple, no-fuss step. It also offers a healthy dose of anti-aging goodness, which doesn’t hurt! If your skin is on the oilier side try the Smashbox Photofinish Primer: Blemish Control ($50.00, Sephora), which contains Salicylic Acid that fights spots while you prime. For your eyes, MAC Paintpots ($21.00, M.A.C.) come in a number of colours, my favourite is Painterly, which brightens the eye for a no-makeup makeup look. For the festive season, Urban Decay Primer Potion ($23.00, Sephora) in Sin, adds a fun champagne coloured shimmer to the lids. These can be worn alone or under shadow. If I was trapped on a desert island in Santa’s Sleigh (see what I did there? Festive change-a-roo) and could have just three things, foundation would be on the top of my list (beauty first, right?). My favorite drugstore brands include the dewy Revlon Colourstay Makeup for Oily/ Combination Skin ($12.99, Shoppers Drug Mart) and Rimmel Stay Matte BB Cream ($10.99, Shoppers Drug Mart) for a shine-free finish. For a more done-up look, I like using MAC Studio Sculpt foundation ($38.50, MAC Cosmetics). This one is a thick, full coverage foundation which I reserve for special occasions. Make Up Forever’s Invisible Cover Foundation ($48.00 Sephora) is an oil-free cult-favourite, which is formulated to withstand harsh lighting and those awkward Christmas photos. Conceal those skin grinches, a.k.a blemishes and dark circles, with NARS Radiant Creamy Concealer ($33.00, Sephora) or the super luxurious YSL Touche Eclat- Radiant Touch concealer (46.00, Sephora).Surprisingly, my personal favorite is the budget-friendly Maybelline Age Rewind Eraser Dark Circle Treatment ($8.99, Ulta), in the shade Brightener. Tip- If you don’t feel like using your fingers, try a dense, flat-top brush, like the ELF Flat Top Powder Brush ($3.00, ELF cosmetics) to buff everything out or, splurge on the beautyblender ($20.00, Sephora) for an airbrushed finish. 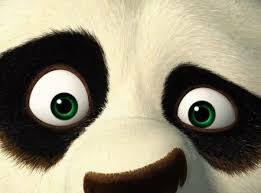 Have you ever looked in the mirror and thought you looked like a little panda, with those eyes? I’m pretty sure you know what I’m talking about – the smudged and smeared eye – liner? Oh gosh! Terrible!!!! Most of us girls have gone through this, either at a party, club or if you live in extremely humid climate like I do!! 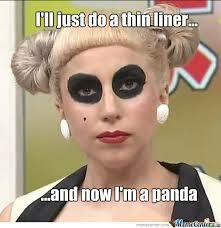 This pretty much spells out disaster because eye-liner is a staple in everyone’s beauty bag. I have tried many pencils, some I find too hard which hurt your eyes, especially if you have sensitive eyes like mine. Some are perfect and soft and give a great colour but just don’t stay on your eyes. a. 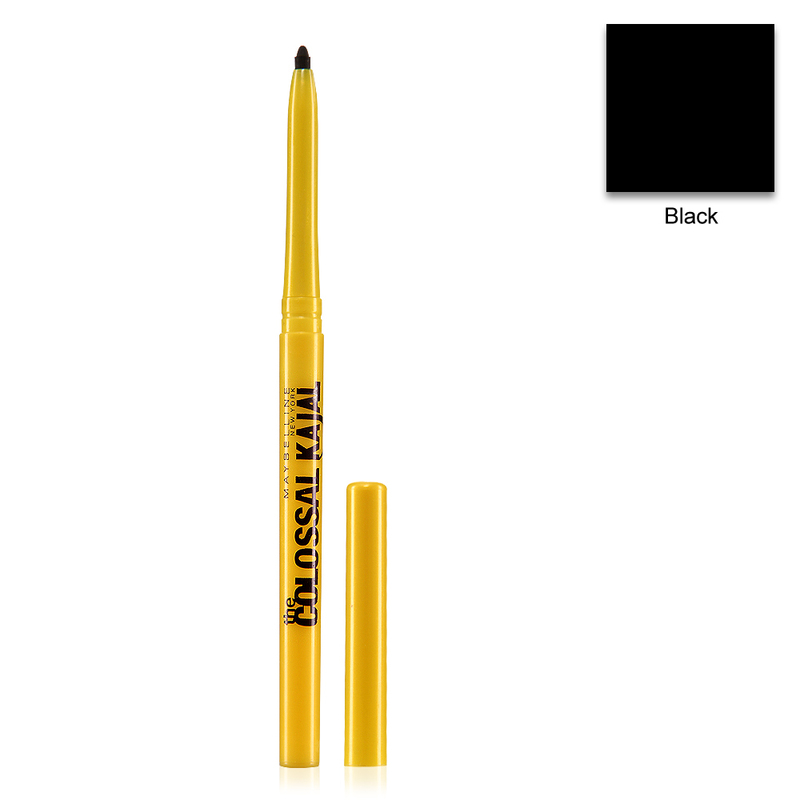 Eye pencil – Colossal Kajal by Maybelline is one of my absolute favourites! 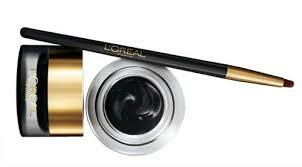 It has a great black colour with long staying power and doesn’t smudge. It has a nice round tip which does not hurt your eyes. It can be used on both the tightlines and waterlines of the eye. Super reasonable as well! b. 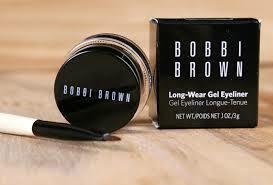 Eye gel – Bobbi Brown eye gel, is a great alternative to an eye liner. Has wonderful staying power and gives a good finish. Since you use a brush for application, it may require a little practice initially. There are many brands which now have the gel, the only other brand I have used is the one from L’oreal. This is a great product too because it is safe to use in your waterline. 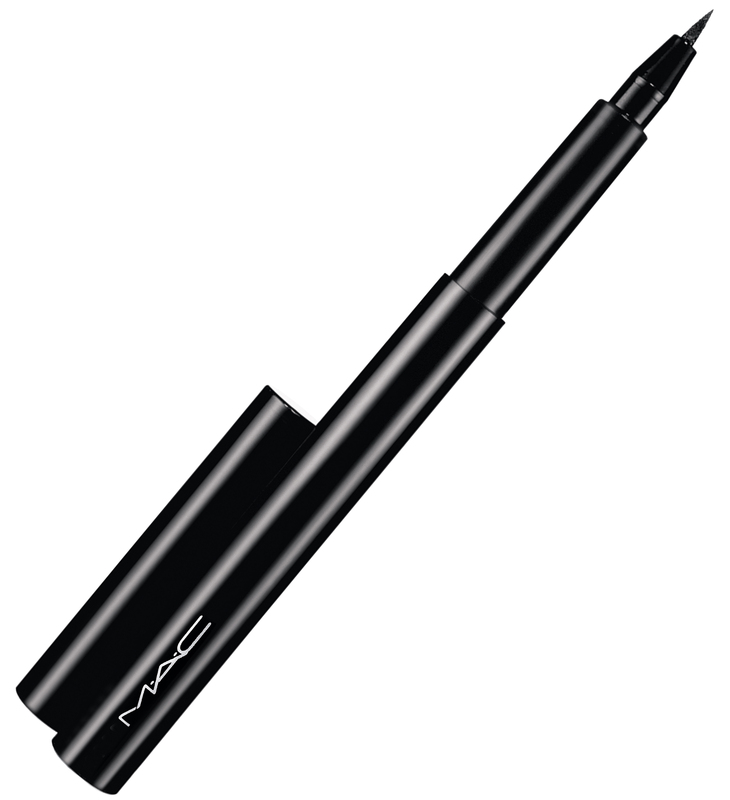 c. Pen eye liner – Pen Ultimate Eye liner by M.A.C is another alternative to using liquid eyeliner. It is easier to manage since it is a pen style liner. Gives a nice slightly glossy look and is much easier to use. I have also tried the pen liner by Revlon but I still prefer the M.A.C it has a better felt tip.